Detective novelist Sue Grafton poses with her 23rd book "W" at a coffee shop in the Toronto Reference Library, Oct. 3, 2013. 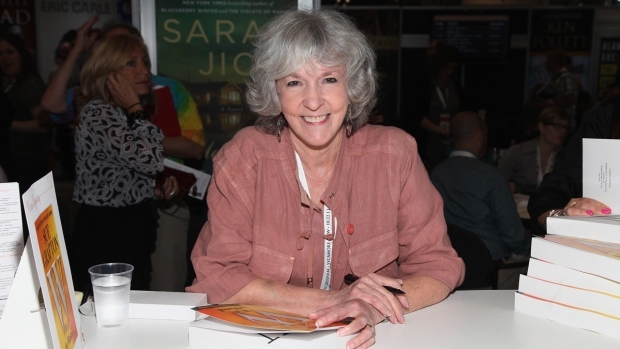 Sue Grafton, author of the best-selling "alphabet series" of mystery novels, has died in Santa Barbara. She was 77. Grafton was surrounded by family, including husband Steven Humphrey, when she died Thursday after a two-year battle with cancer, her daughter, Jamie Clark, posted on the author's website. "Although we knew this was coming, it was unexpected and fast. She had been fine up until just a few days ago, and then things moved quickly," the posting said. Grafton began her "alphabet series" in 1982 with "A is for Alibi." Her most recent book, "Y is for Yesterday," was published in August. "Many of you also know that she was adamant that her books would never be turned into movies or TV shows, and in that same vein, she would never allow a ghost writer to write in her name," her daughter wrote. "Because of all of those things, and out of the deep abiding love and respect for our dear sweet Sue, as far as we in the family are concerned, the alphabet now ends at Y." Humphrey said Grafton had been struggling to find an idea for "Z'' while undergoing treatment for rare and usually fatal cancer of the appendix, which was discovered in a routine colonoscopy. "Nothing's been written," he told The Associated Press in a telephone interview. "There is no Z." He added with a laugh, "Nobody in this family will ever use the letter Z again." The fictional heroine of the series, Southern California private detective Kinsey Millhone, was Grafton's alter ego, she told The Seattle Times earlier this year. "I'm an introvert, so doing half of what Kinsey is beyond my poor capabilities," Grafton said. "But it's fun to get to live her life without penalty." "Yes, as Sue said, 'We're one spirit in two bodies, and she got the good one,'" Humphrey said. While Grafton aged, her heroine didn't quite as much. "So when I started, she was 32, and I was 42. Now, she is 39, and I am 77. So there's a little bit of injustice there, but she is single," she told NPR in an interview earlier this year. "She's been married twice. She has no kids, no pets, no house plants." She said she was looking forward to reaching the end of the alphabet with "Z is for Zero." Lisa Scottoline, author of legal thrillers, tweeted that she was sad to hear of Grafton's passing. "She forged a path for women in crime fiction, and all of us followed and adored her," she said. Crime writer Lawrence Block called Grafton a wonderful writer "graced with vision and integrity and a generous spirit." "That never-to-be-written Z book is the least of what we've just lost," Block tweeted. Grafton began writing at 18, and completed her first novel at 22. "A is for Alibi" was the eighth novel she wrote, and the third she had published. "I read newspapers, textbooks on crime. I talk to private investigators, police officers, jail administrators, doctors, lawyers, career criminals. Ideas are everywhere," she said. Born in Louisville, Kentucky, Grafton stayed tied to her roots, dividing her time between a home there and in California. 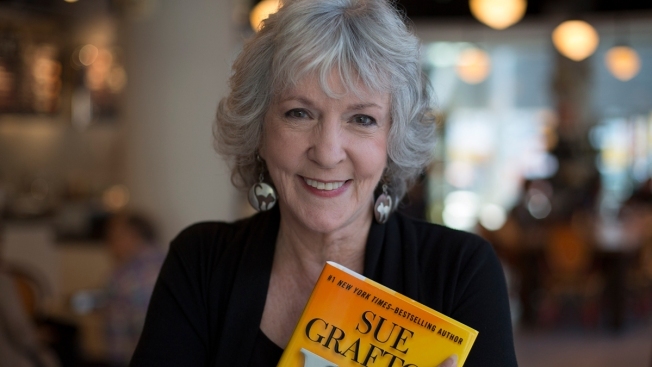 "The world has lost a great talent and prolific author in Sue Grafton — and in Louisville we have lost a citizen, friend, neighbor, a master gardener and hometown hero," Louisville Mayor Greg Fischer tweeted. "Her legacy will live on through her words, which will entertain and thrill readers for generations to come." In addition to her husband and daughter Jamie Clark, she is survived by another daughter, Leslie Twine, and her son, Jay Schmidt. Grafton's remains will be cremated and the family will hold a private memorial Sunday. Memorials also will be held in Louisville and New York City.